A short video of the history of St David’s Memorial Church. Prepared for the Historic Heritage Hearing Panel, October 2018. Sincere thanks to Donald Trott ONZM and an anonymous donor for their generous support of this short film. Thanks also to Jeff Smith of Deep Animation, Jessica Chloe Photography, Jonathan Suckling Photography, Max Gimblett ONZM, Luke Lockwood and Paul Shale. The foundation stone of St David’s Memorial Church was laid on Anzac day in 1927, in memoriam to those who lost their lives in World War I. Originating from a project that began in 1924, the architect Daniel Patterson was appointed to design St David’s on the site of a smaller, wooden church building. Patterson also designed the Auckland Central Fire Station and St Stephen’s School in the Bombay Hills. The foundation stone of St David’s Memorial Church was laid on Anzac day in 1927, in memoriam to those who lost their lives in World War I. The Soldiers’ Memorial Church, as it was referred to, commemorates those who gave their lives in all wars. The Sappers’ (Royal New Zealand Engineers’) Memorial Chapel forms part of St David’s. It later became known as St David's Presbyterian. Through nearly a century, St David’s has been a leading light amongst diverse communities: associated with Presbyterian Support Services, Alcoholics Anonymous, international charitable giving, refugee services, and in 2014 St David’s hosted a multi-church Bicententary Celebration of Christianity in Aotearoa New Zealand. St David’s has always been known fondly as the Cathedral of the Presbyterian Church. Click here to read how Heritage New Zealand Pouhere Taonga views St David’s. The history of St David’s had been largely unknown until recently. The following history provides a glimpse of the rich history that has now emerged. Originating from a project that began in 1924, the architect Daniel Patterson was appointed to design St David’s on the site of a smaller, wooden church building. Patterson’s other designs include the Auckland Central Fire Station and St Stephen’s School in the Bombay Hills. St David’s is an important part of the work of this architect who played a notable role in the history of New Zealand architecture that has, until now, been largely overlooked. It also exemplifies the architectural spirit of the inter-war period. Made of Oamaru stone and dark red Kamo pressed brick, St David’s was built by contractor C.W. Ravenhall. The elegant chancel (interior) was added in 1937 to the design of renowned New Zealand architect Horace Massey. In 1969, the room beneath the Church was transformed into a chapel with the addition of a suspended, fluted ceiling and entrance portico. St David’s foundation stone was laid on ANZAC Day of 1927 and it is a memorial of national significance. It predates the Auckland War Memorial Museum and will soon celebrate its centenary. Paid for on the understanding that it would be a war memorial for all time, St David’s would “keep green the faith and courage and sacrifice” of those who gave their lives in WWI (The Story of St David’s Presbyterian Church 1864 – 1964 p.60). In memory of Private Henry Robert Armitage who died 24 October 1918, aged 28. One of the men in whose memory St David’s was built. In 1928, the Royal New Zealand Engineers presented a tablet to the church in memory of fallen comrades. The Sappers’ Memorial Chapel was later incorporated into St David’s. Sappers’ Memorial Service parade 12 October 2014, continuing a tradition begun in 1927. Royal New Zealand Engineers’ memorial window in the Sappers Memorial Chapel. St David’s has a long association with the Army, and its Ministers traditionally served in the Army. Commemorative windows and plaques were unveiled in 1949 after WWII, to commemorate the early office bearers of the Royal New Zealand Engineers and members of the Congregation who lost their lives in both World Wars. St David’s also commemorates specifically the 29th and 30th New Zealand Infantry Battalions, dedicated “IN MEMORY OF THOSE WHO PAID THE SUPREME SACRIFICE”. As St David’s has a long association with the RNZE and the Sappers, below we pay tribute to two New Zealand sappers, both recipients of the Victoria Cross. 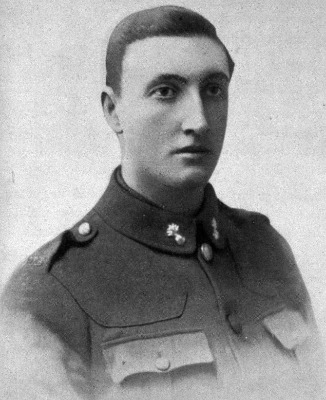 Cyril Royston Guyton Bassett VC (1892 – 1983) was the first and only New Zealander to be awarded the Victoria Cross in the Gallipoli Campaign of the First World War. Born in Auckland, Bassett was a bank worker when the First World War began. A member of New Zealand's Territorial Force, he volunteered for service abroad with the New Zealand Expeditionary Force (NZEF) and was posted to the New Zealand Divisional Signal Company as a sapper in the Corps of the New Zealand Engineers. He saw action on the opening day of the Gallipoli Campaign, and it was during the Battle of Chunuk Bair that he performed the actions that led to his award of the VC. Medically evacuated due to sickness shortly after the battle, he later served on the Western Front and finished the war as a second lieutenant. No. 4/515 Corporal Cyril Royston Guyton Bassett, New Zealand Divisional Signal Company. For most conspicuous bravery and devotion to duty on the Chunuk Bair ridge in the Gallipoli Peninsula on 7th August, 1915. After the New Zealand Infantry Brigade had attacked and established itself on the ridge, Corporal Bassett, in full daylight and under a continuous and heavy fire, succeeded in laying a telephone line from the old position to the new one on Chunuk Bair. He has subsequently been brought to notice for further excellent and most gallant work connected with the repair of telephone lines by day and night under heavy fire. In 1926 Bassett was married at St David’s Church, Khyber Pass, Auckland. He returned to the banking profession but was recalled to active duty during the Second World War. He served on the Home Front and by the time he was taken off active duty in December 1943, he had been promoted to the rank of lieutenant colonel and was commander of signals in the Northern Military District. When he retired from his banking career he became a justice of the peace in Devonport. He died in 1983 at the age of 91. St David’s, The Soldiers’ Memorial Church, July 23 2015: Corporal Willie Apiata, VC presents Mark Bramwell, grandson of the late Lieutenant Colonel Cyril Bassett, New Zealand’s first WWI, and sole Gallipoli, recipient of the VC. This presentation also marks the closure of Remembrance on St David’s – the art installation that commemorates the soldiers and nurses who served in WWI, and the Church that was built to Remember Them. Samuel Forsyth VC (1891–1918) was a non-commissioned officer in the New Zealand Military Forces who served with the New Zealand Expeditionary Force during the First World War. He participated in the Gallipoli Campaign and later on the Western Front. He was a posthumous recipient of the Victoria Cross. Born in Wellington Forsyth worked as a gold amalgamator and volunteered in the Sailor’s friend Society and served as a Territorial. He enlisted in the New Zealand Expeditionary Force with the Field Engineers. He served in the Gallipoli Campaign and was evacuated twice. Forsyth was on temporary attachment to 2nd Battalion, Auckland Infantry Regiment during the early stages of the Hundred Days Offensive. He was on probation for a commission in his own unit and his attachment to the battalion was in order to gain front line experience. On 24 August 1918, the battalion was tasked with the capture of the village of Grevillers. On reaching the outskirts of the village, German machine gun fire prevented any further forward movement. Forsyth, scouting ahead of his platoon, then performed the actions which led to his posthumous award of the Victoria Cross. He sat up and pulled at it. He had to brace his legs against the side of the tunnel to shift the weight. Eventually he was able to work it back a few feet towards him. He saw there was another one behind it. This part of the wall appeared to be built from sandbags. They were packed in too neatly and tightly to have been blown there by the blast, so presumably they had been placed there by the Miners at some stage. There was drool and foam at the corners of his mouth. His blank emotional face seemed to withdraw further. Then a flicker caught the edge of his eye. He was barely aware of the discomfort as he worked on and eventually came to the end of a pile of bags that had been so neatly and tightly stacked by the New Zealanders. A small leap of excitement went through him. He stopped for a moment and found that his eyes were moist. He allowed himself to give into the sensation of hope. He would be free. He went carefully back and took Jack by the hand. There was a strong historical relationship also with the Auckland Nurses whose service in both wars is commemorated on the Roll of Honour. Daphne Rowena Commons, a parishioner of St David’s, was one of the first fifty NZ nurses to serve in WW1. She was awarded the 1914-1915 Star, British War Medal (1914-1920) and Victory Medal with Oak Leaf for WW1 services to nursing. Sadly her younger brother Kenneth was killed in action at Gallipoli (second battle of Krithia May 1915). More than the sum of its parts – every brick, window, rafter, the chapels, and the great space within – St David’s Church building is a sacred memorial. Lest we forget. St David’s has always been a heart of Auckland, and has been known fondly from the beginning as the “Cathedral of the Presbyterian Church”. St David’s once served the largest Presbyterian congregation in the Southern Hemisphere and in 2014 hosted Bicentenary Celebrations of Christianity in New Zealand with 500 - 600 participants from churches across Auckland. St David’s has long inspired the performing arts, with the auditorium-quality seating layout, the great Croft Pipe Organ, a generous sense of space and fine acoustic thanks to its wooden lining. While Choir Master of St David’s, the renowned composer, choral conductor and educator David Hamilton composed May the Road Rise Up to Meet You. Click here to listen. St David’s has a longstanding relationship with the Chinese community of Auckland, and the Chinese speaking Congregation is lead by the Rev Ping Nam Ng. St David’s Church building was designed to be inclusive and accessible for all. As a memorial church that would be attended by war veterans, and to enable the broadest access to all including those with differing levels of physical ability, St David’s was designed with ramp entry rather than stairs, and with such cutting-edge technology in 1927 as listening stations, so that those with hearing impairments could participate in the services amongst family and friends. In the 1950s St David’s was we believe the first Presbyterian Church to marry divorced people. People came from other denominations to be married here. All were formally welcomed from the Pulpit to take communion, regardless of whether they had been baptised. Anglican, Catholic, Jewish: all were welcome and came to services at St David’s. This at a time of clear division between the faiths in the 1950s and 1960s. Strong historical association with Catholic leaders including Archbishop Liston, and prison chaplain Father Downey are also notable. Each of the great leadlight windows in St David’s has significant cultural and heritage value, not the least because the windows installed post WWII are in memorium to those who served in both World Wars. The original rose-coloured windows date from 1927 while the colourful War Memorial windows were added around 1947. In this context, the Southern-most window in the Eastern wall acknowledges Maori and Pacific Islands peoples, as well as the Eastern origins of Christianity. This depiction of Christ amongst Maori and Pacific peoples is unique in the Presbyterian Church, and may be unique nationally. Christmas Day 1960 marked the beginning of Sunday transmission from the Auckland Television Studios, and the first religious television programme. Live in the studio, the Queen’s Message was followed by the Very Rev Owen Baragwanath, Minister of St David’s, speaking of the Babe at Bethlehem to people in their homes across Auckland. 1963 St David’s hosted the first televised baptism (Presbyterian). The Congregation has traditionally included people from all walks of life. St David’s has been the home of Alcoholics Anonymous and Presbyterian Support Services for more than half a century. The Opportunity Shop continued to serve the community and to support charities worldwide until its closure by St David’s Administration in December 2014. St David’s was home to the St David’s Sea Scouts, and through a long period of time had strong associations with Mt Eden Prison. St David’s represents an important part of the Scottish culture and history of Aotearoa New Zealand. A pre-eminent representative of Presbyterianism, the Scottish Church, which is evident in the elegant simplicity of the architecture and the progressive, scholarly and intellectual approach to the faith. A long-standing historical association with St David’s sister church, St Giles Cathedral, Edinburgh, is symbolised by the cross behind the altar which is believed to be a gift from St Giles. This beautiful Iona cross was carved from ancient oak from Edinburgh Castle; the Scottish National War Memorial in Edinburgh Castle opened the same year (14 July 1927) that St David’s was built. In the Presbyterian tradition there is a formal separation between the Church and non-religious education. However, education is a key part of the Scottish settler culture in New Zealand, and St David’s has had long associations with educational institutions including St Cuthbert’s College, Auckland Boys’ Grammar School and the University of Auckland. Lord and Lady Ballantrae; Major, later Brigadier Fergusson, former Governor General; commanded successive Chindit units behind enemy lines in Burma and distinguished author of "Beyond the Chindwin" and "The Wild Green Earth". Lady Ballantrae was Laura Fergusson, who together with Lady Mary Caughey, founded the Trust that bears her name, and the first facility in New Zealand to cater to the residential needs of the disabled community. Ellen Melville, first woman in NZ to practice law independently, first woman councilor in NZ, first president of the Auckland National Council of Women, “The Pioneer Women’s and Ellen Melville Memorial Hall” opened in her honour in Freyburg Place in 1962. Maxwell Gimblett ONZM, Joined the Friends of St David’s to help preserve this unique part of New Zealand’s history for the next century and beyond. David Hamilton, Composer, choral conductor and educator. "May the Road Rise Up to Meet You" that Hamilton composed while Choir Master of St David’s.